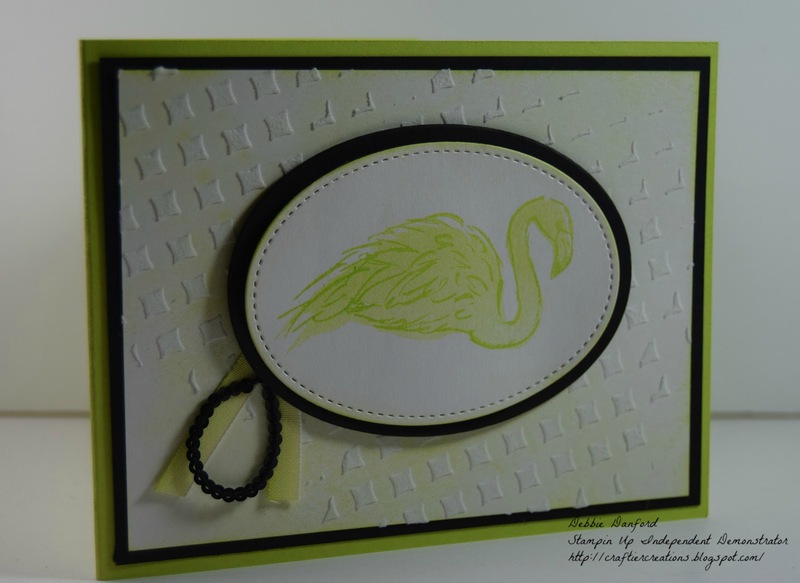 Back again with another card using the Fabulous Flamingo stamp set & the new Embossing Past & stencils. 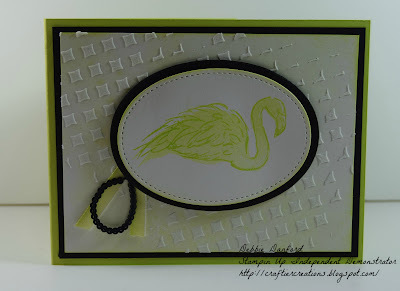 The new embossing past is so easy to use & dries rather quickly. 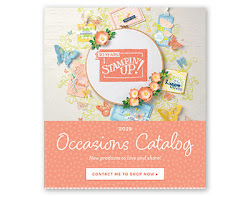 I have used other types of past in the past & this definitely has a different texture & feel to it. I'm liking it a lot. 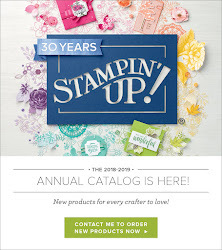 I took the new diamond shapes mask & spread the past over the piece of shimmer White card stock. As you can see I did not cove the entire piece. After it is dry you can use a sponge to alter the background with Lemon Lime Twist. 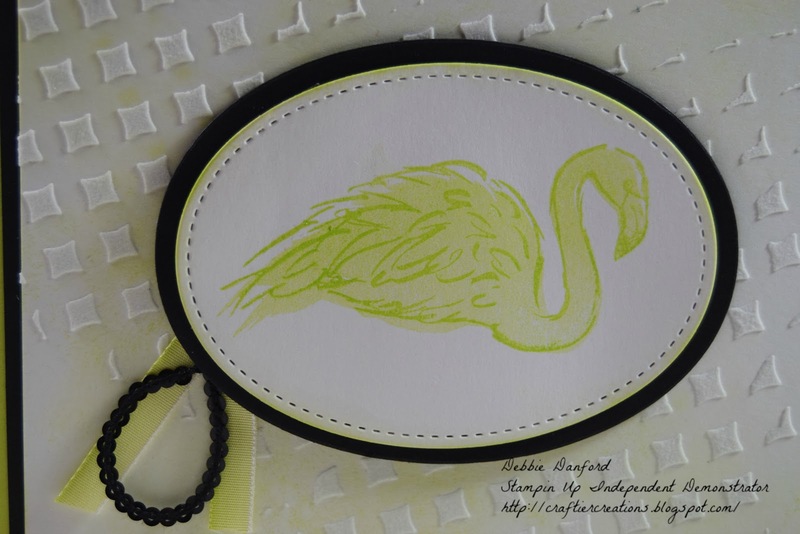 On Shimmer paper stamp the flamingo in Lemon Lime Twist & die cut it with the Stitched Shapes Framelits. 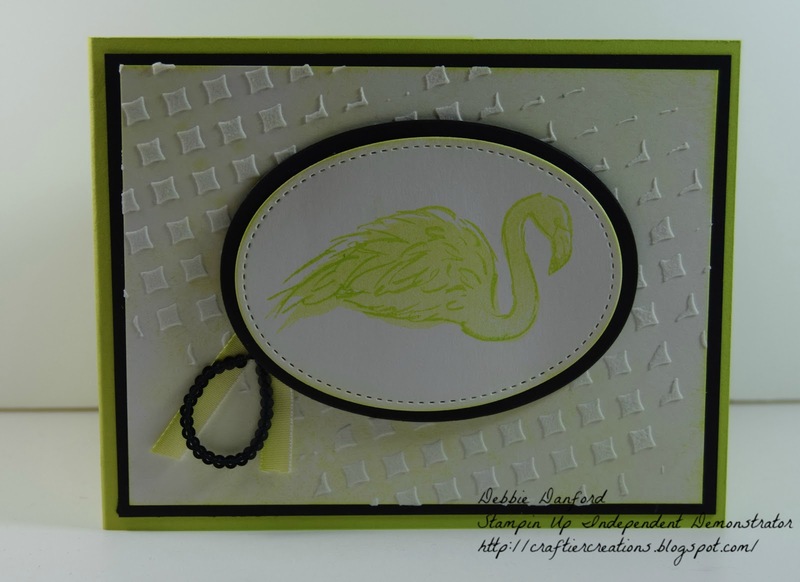 You can also die cut the black out of the center of the Basic Black card stock. 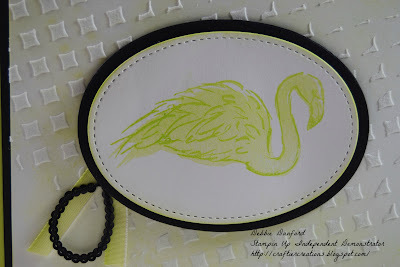 Sponge with Lemon Lime Twin around the oval flamingo. Attach ribbon & black sequence. Use dimensionals to pop up oval's.